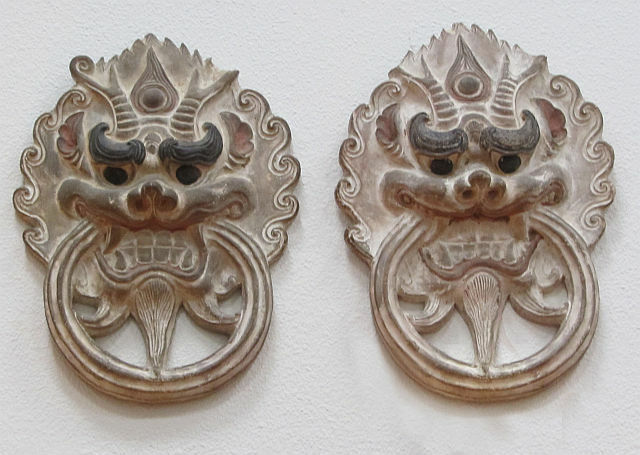 Pair of Chinese terra cotta plaques. Foo lions holding rings in mouths. Pale terra cotta and black.